any display of Resorts' Trademark, or anything confusingly similar thereto, is strictly prohibited. Framing Prohibited. Any display of any of the websites of Sandals (e.g., www.sandals.co.uk), Beaches (www.beachesresorts.co.uk) or Grand Pineapple (www.grandpineapple.com) within a frame on your website or a third party website is strictly prohibited. Such use distorts the display of the Resorts' websites and will likely lose your agency's tracking. Travel agent partners may promote the Resorts via their website(s) and online marketing material(s) by using logos, graphics, and images supplied by us. Use of any other logos, graphics, or images of the Resorts is strictly prohibited. Additionally, Travel agent partners may post, via social media pictures which they have taken, provided they are not defamatory or disparaging in any way whatsoever. Further, travel partner agent acknowledges that the logos, graphics, and images (including without limitation, all content, text, images, media, pictures and other materials available under the ‘Images and Logos’ link) are proprietary to or licensed by UTC, protected under copyright and other intellectual property laws, and may not be reproduced, transmitted, displayed, published or distributed in any way inconsistent with these Terms & Conditions without the express prior written consent of UTC. Logos, graphics and images downloaded from the ‘Images and Logos’ link can only be used to promote the Resorts, and cannot be used with materials that promote anything in addition to the Resorts, The Resorts' logos shall not be used on any materials that do not also contain the travel agency's logo, which must be larger and more prominent than the Resort's logos. At no point should the use of logos, graphics or images be used in a way that may confuse consumers as to whether the travel agency is acting on behalf of the Resorts or is endorsed by the Resorts. Travel agents are not authorised to offer or advertise reservations or packages for the Resorts that directly or indirectly identify prices, price terms or equivalent offers other than those that UTC have authorised, or otherwise confuse the marketplace or the consumer with marketing practices using terms such as "lowest price guarantee". 4. Use of Trademarks or Marks of the Resorts as Keywords Prohibited.
) use, buy, bid on or register keywords that include or incorporate the (a) registered trademarks owned by Sandals Resorts, such as but not limited to Sandals®, Beaches®, Grand Pineapple®, WeddingMoon®, FamilyMoon®, Luxury Included®, or (b) Resorts' website addresses, such as but not limited to of www.sandals.co.uk, www.beachesresorts.co.uk or www.grandpineapple.co.uk, or (c) individual resort property names (collectively, the "Trademarks"), or any misspelling or substantially similar or confusingly similar variation thereof, for use in any form of pay-per-click or search engine advertising (e.g, Google Adwords, Bing Ads, etc.). Travel agents agree to never contact a user from the Resorts' social media platforms. This includes, responding directly to comments or private messaging of users found on the Resorts' social media platforms. Failure to comply with these Terms and Conditions may result in an immediate termination of your ability to sell the Resorts' products or services. UTC further retains the right at all times to cancel, modify or terminate these Terms and Conditions or any programme, at our sole discretion, without notice. 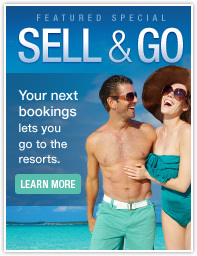 The travel agent partner shall immediately cease and desist from advertising, utilising or posting all Trademarks inclusive of images and the logos associated with Sandals®, Beaches® and Grand Pineapple® Beach Resorts on any and all travel agent partner website(s), social media forums, letterhead, on printed marketing and advertising materials and media in any and all forms. The travel agent partner shall no longer utilise, advertise, market or display all awards and designations previously granted on behalf of any of the Resorts or by the chairman of the Resorts on any and all travel agent partner website(s), social media forums, letterhead, on printed marketing and advertising materials and media in any and all forms. Travel agent partner shall abide by all Anti-Spam laws with regards to any emails sent to their respective clients or any client lists. Client emails must be opt-in clients.